Susana, 14, from Nicaragua and her mother, Maria. It’s 3 a.m. in northwestern Nicaragua, with sunrise still more than two hours away, and sisters Susana and Jazmin are already waking up. Together they grind corn they prepared the night before into flour. Their mother, Maria, starts a fire in their wood-burning stove. Then, while Jazmin showers and prepares for school, Susana helps Maria make tortillas. Fourteen-year-old Susana is one of 12 children, six boys and six girls. Some of her older siblings have moved out and started their own families. Most of them, however, still live at home, including her brother-in-law, meaning there are 11 people living in the two-roomed house. Susana’s father left the family several years ago, leaving her mother the task of supporting the children. Susana starts most mornings making tortillas, which her younger siblings will sell in the afternoon, earning about $3 a day for the family. By 11:30, 13-year-old Jazmin is home from school. That’s when Maria begins preparing for her other job as a laundress, and it’s Susana’s turn to shower and head to school. Despite already working a full day, Susana is determined to make it to school and get her education. Her best effort seems to be working, as Susana is on the honor roll and is one of the best in mathematics at her school. She wants to become a doctor, and knows that maintaining good grades is a vital step toward that dream. But even with the stress of school and helping with the family business, Susana still has time to worry about her mom’s well-being. Susana’s hard work helping her family and going to school is great preparation for achieving her dreams of going to college, especially considering the cost. 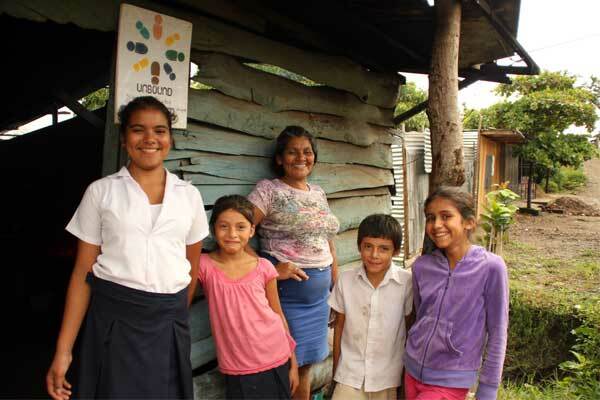 Being sponsored through Unbound has helped Susana and her family meet their daily needs. 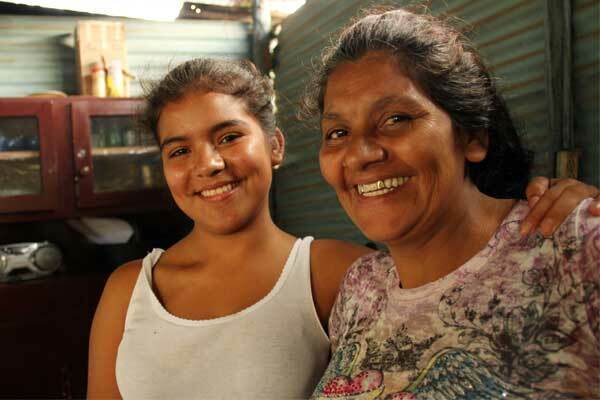 Susana’s sponsorship helps take some of the burden off Maria’s shoulders. Sometimes, what seems like a small bit of assistance can have a big impact. “In Nicaragua each year schools march on Independence Day, which is September 14,” Susana said. “I receive shoes from Unbound each year and try to take care of them to use on that day. Because I’m on the honor roll, I get to go and march. Susana outside her home with her mother, Maria, and younger siblings, from left, Wendy, William and Xochil. Despite the struggles her family faces, the long days and the pressure to keep good grades, Susana meets each day with a smile and sense of joy. Help someone achieve their dreams. Sponsor today.